Tool for converting a DPF into a XML file + resources (BMP/PNG/files/WAV/OGG/MOD…) and the reverse way, get a XML + resources for creating a DPF. 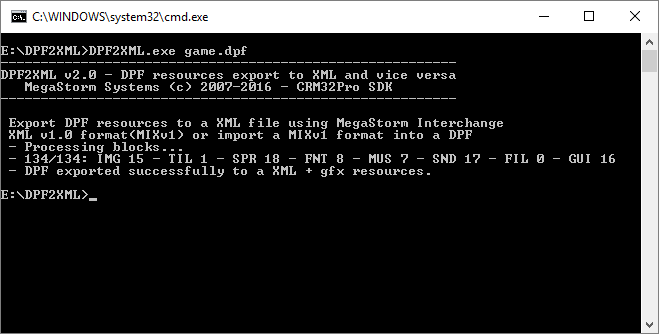 This XML is called MegaStorm Interchange XML v1.0 format (MIXv1). 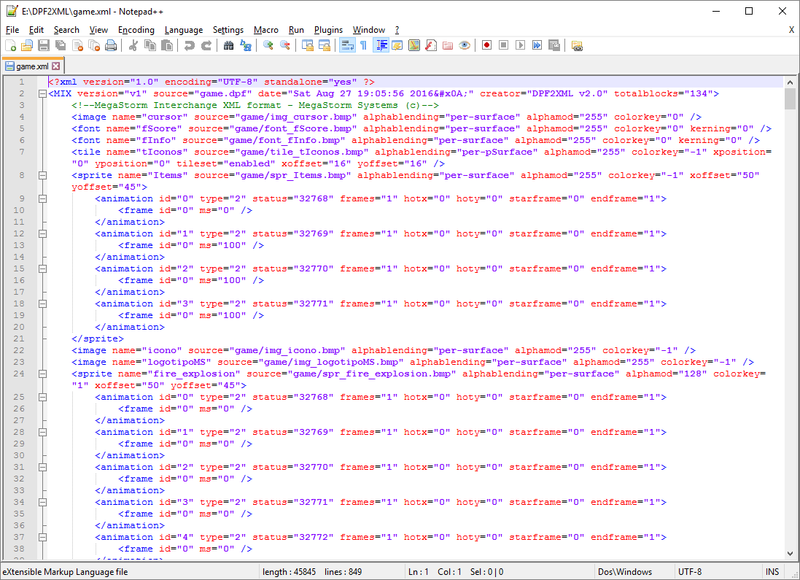 A XML Scheme is included for format validation of a modified XML in case of problems when converting it to a DPF. MIXv1 file is used for importing a DPF into newer CRM64Pro CDC format. Useful for batch operations on the DPF resources: resizing all images or applying any filter, modify the names of some resources, etc.